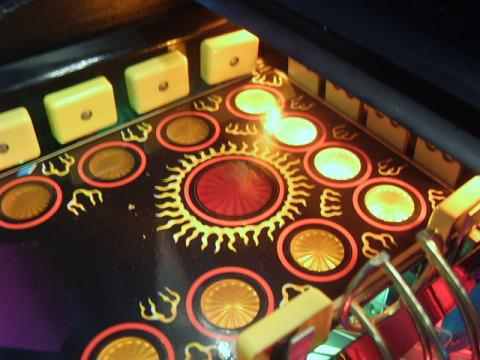 The goal of this modification is to add extra light on the Battlefield, the mini playfield on Ballys The Shadow pinball machine. 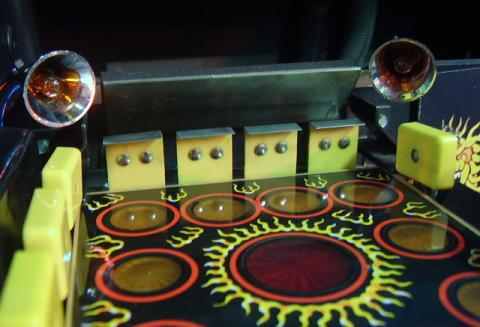 Although it has light inserts, when you play this game in a total dark room, it sometimes becomes difficult to see the pinball. What you need are two spot-light type bulb holders, some wire and some basic soldering skills. We will add two lightbulbs at the back corners of the battlefield mini playfield. 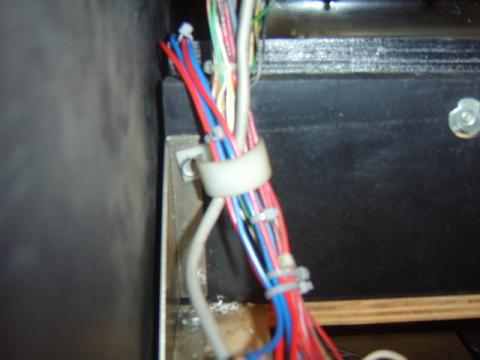 Run the wires down with the other wire loom that's already there. 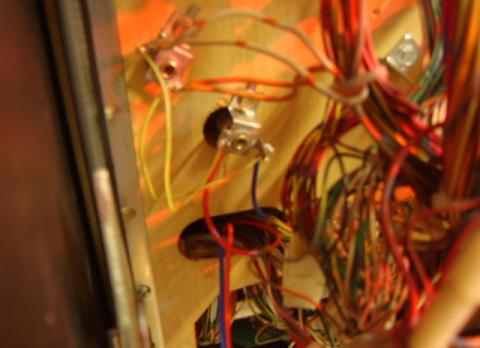 There are 4 GI bulbs under the playfield (in the top left hand corner). Run one bulb to number 2 (looking left to right). And the other one to GI light bulb number 4. 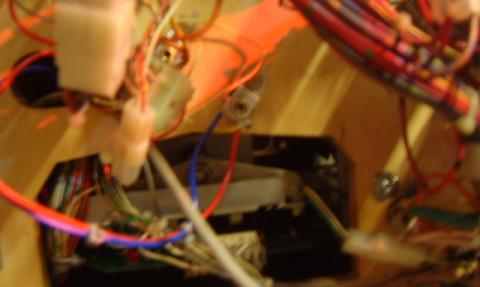 There is no problem tapping power off of the GI string, as there are only 8 bulbs on the string. The result: the battlefield is nicely lit.